Jdr Global Press, 9780988440104, 274pp. Henry Pendelton, the privileged, college-age son of a well-regarded United States senator, could never have predicted how much his life would change after visiting his parents' house in the wake of his socialite grandmother's sudden passing. While there, he witnesses an argument between his father and a high-ranking government official. The dispute escalates to an all-out brawl, and during the struggle, Henry's father slips him a flash drive holding the details of a top-secret and deadly project to cut the government's health care spending. With powerful information literally in his hands, Henry's father begs him to expose the dangerous plan to the world. Henry manages to escape with the files, making him the keeper of valuable and incriminating government information. Under an immense amount of unyielding pressure, he fights to expose the secret and save thousands of innocent lives. All the while, powerful government officials, desperate to keep their lethal plan under wraps, are hot on his trail. 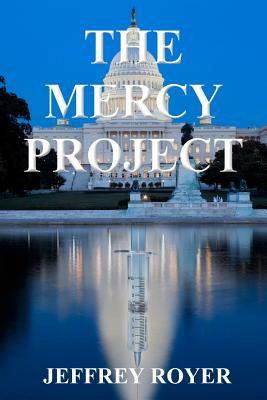 Author Jeffrey Royer's first fictional masterpiece, The Mercy Project, weaves an intricate tale of greed and deception. With the action-packed plot and realistic possibilities, he pulls readers into a world consumed by one of the worst health care reform scenarios imaginable.